With a record number of female candidates running for president, some male Democratic contenders are vowing that a woman will be on their 2020 ticket — just not at the top. 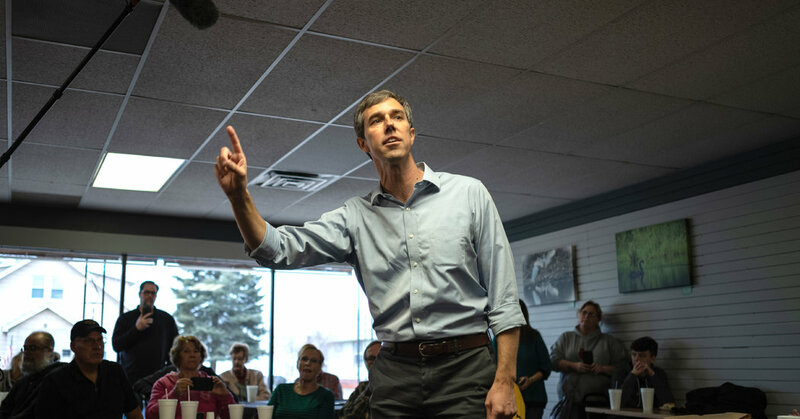 Two male candidates, Senator Cory Booker of New Jersey and Beto O’Rourke, the former Texas congressman, suggested this weekend that they would pick a woman as their vice president if they won the nomination. The packed Democratic field includes several prominent women, with Senators Elizabeth Warren, Kirsten Gillibrand, Kamala Harris and Amy Klobuchar all running competitively. Announcing the demographic profile of a potential vice-presidential pick is highly unusual, especially more than 10 months before the first round of voting takes place in Iowa. The comments reflect a desire by male candidates to show that they are not taking female voters for granted, particularly as so many women mount bids of their own for the nomination. Mr. Booker told voters in New Hampshire that he was “confident” the party would “make history” with their nominee. Issues of race and gender have already emerged as a central theme of the Democratic primary race, as the party tries to position itself as a home for minority and female voters energized by their opposition to President Trump. Last year, female activists and a record number of female candidates powered much of the party’s gains in the midterm elections. Those gains, paired with the political impact of the #MeToo movement, gave rise to a vocal group of Democratic women eager to call out what they see as double standards in the perception of the candidates. Navigating their party’s new gender dynamics has not been seamless for some of the male candidates. All the women in the 2020 race have touted their gender as a competitive advantage in a crowded field, marking a break from the party’s only other competitive female nominee, Hillary Clinton, who often struggled to publicly embrace her historic role. “I wasn’t born to run for office, just because growing up in the ’70s, in the middle of the country, I don’t think many people thought a girl could be president,” said Ms. Klobuchar, in an interview with NBC’s “Meet the Press” on Sunday. Her comments were a reference to Mr. O’Rourke’s remark in a Vanity Fair interview that he was “born to be in” the race. But Ms. Gillibrand, who released a video on Sunday officially announcing her presidential bid, has leaned most deeply into a woman-centric message, making running as a woman, for women, a central theme of her candidacy. Representatives for Ms. Harris and Ms. Warren declined to comment on Mr. Booker’s and Mr. O’Rourke’s remarks.